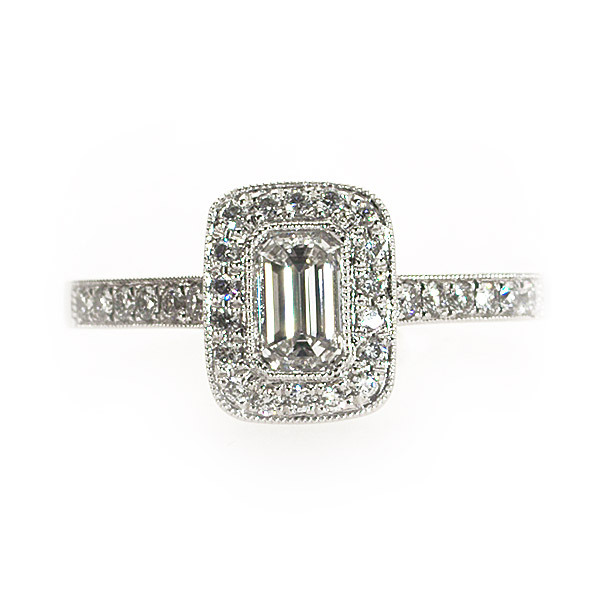 This stunning vintage style ring is set with an emerald cut diamond in its centre with brilliant cut diamonds in a halo around it and running down the sides. It echoes the Art Deco era. This particular style lends itself to any rectangular diamond in the centre, such as a radiant. It also looks dazzling with a squared diamond such as a square cushion shape or princess cut. Like all of my rings, this can be made for you in any diamond size, any finger size and any metal.